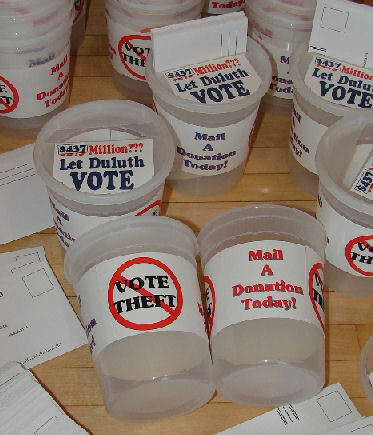 Do Duluth parents realize how inferior the $51,031,869 million Ordean high school will be? A book has come to light that describes how to build the best schools possible. It is Planning and Designing Schools, by the late C. William Brubaker of the Perkins and Will Architectural firm. Dr. Dixon is mentioned for supervising the construction of Ft. Collins High School . It was completed in 1995. Here’s a recent Arial view of Ft. Collins High. 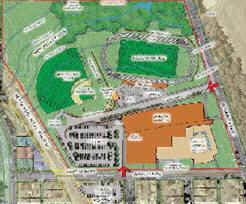 Compare it to the proposed Ordean site. It is obvious from this latest Ordean "schematic" that a new school board will have no choice but to use eminent domain to acquire additional property for Ordean the moment its construction is complete. Dr. Dixon’s planning documents show that Ordean is expected to handle the same number of students that Ft. Collins High was built for - 1800. Note the green woods next to the Ordean track which can only be used if a wooded ravine is filled in and bald eagles chased off. There is no such unusable space in Ft. Collins ' acreage. In fact, the homes Ft. Collins were built after the school was completed. Compare parking lots. Once again a Duluth high school will be cobbled together from a junior high to save money. It will be the most expensive $51 million Duluth has ever saved. What does Mr. Brubaker, who cites the Fort Collin ’s example, tell us about the history of American high school campuses? In the 1920’s high school sites were 20 acres, after World War II sites were 40 acres. In the 1970’s sites increased to 50 acres in both suburban and rural areas. Today sites are typically 60 to 80 acres. Ordean’s usable space without variances (which will put student’s safety at risk) is only 10.8 acres half of what was expected in the 1920’s! 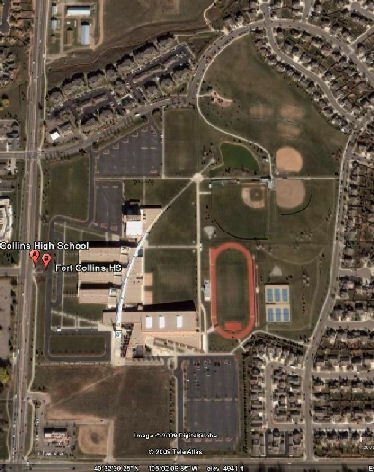 A side by side comparison of Ft. Collins and Ordean High is frankly embarrassing. Look how close Ordean lies to the street and compare this to Ft. Collins High School . This is a lawsuit waiting to happen. No one can doubt that the next school board will be forced to use eminent domain to grab additional property from the Ordean neighborhood if Ordean is gutted this spring (two years early) to prevent future school boards from adopting a better plan. Acquiring all the homes up to 36th Ave. E will cost at least $10 million dollars. 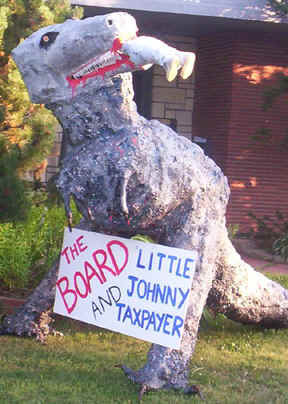 Coincidentally, that’s how much the current school board hopes to raise selling Central High School . The trillion dollar Federal bailout divided by three-hundred million Americas will cost $3,333 per person. The rich will pay more than the poor. 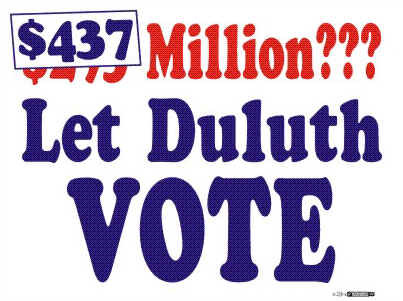 The $430 million Red Plan divided by the 90,000 residents of the Duluth School District will cost $4,777 per person. It will be paid with regressive property taxes that fall most heavily on the backs of the elderly who live on fixed incomes. 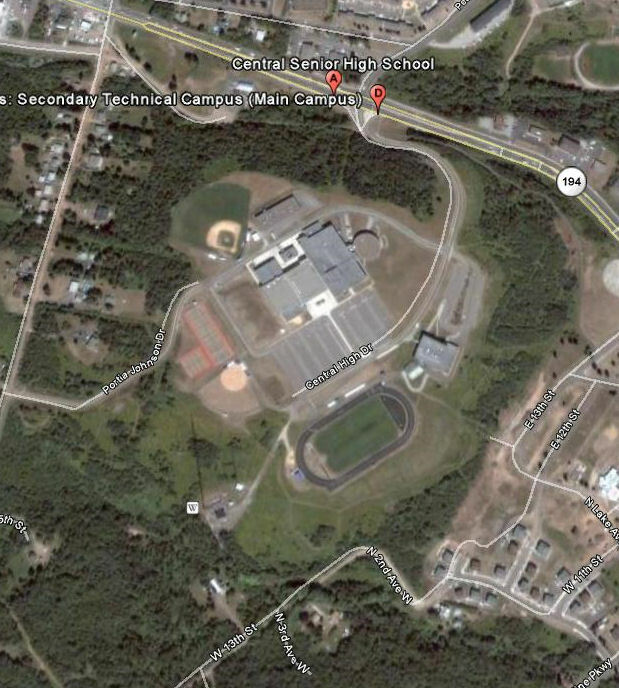 Oh, and take a look at Duluth Central High School's acreage. There is no comparison with either Ordean or the existing East High School. Just for starters its isolated from traffic, has room for expansion, and won't require abandoning the new Secondary Technical Center.